100% of operators can use data to operate a safer, more efficient program. Knowing the ins and outs of your aircraft, from small maintenance issues to how it is being flown can make a huge difference for your program’s safety, efficiency and bottom line. During Hurricane Harvey, when communications were stalled due to damaged radio towers, operators using IRIS were still communicating clearly. 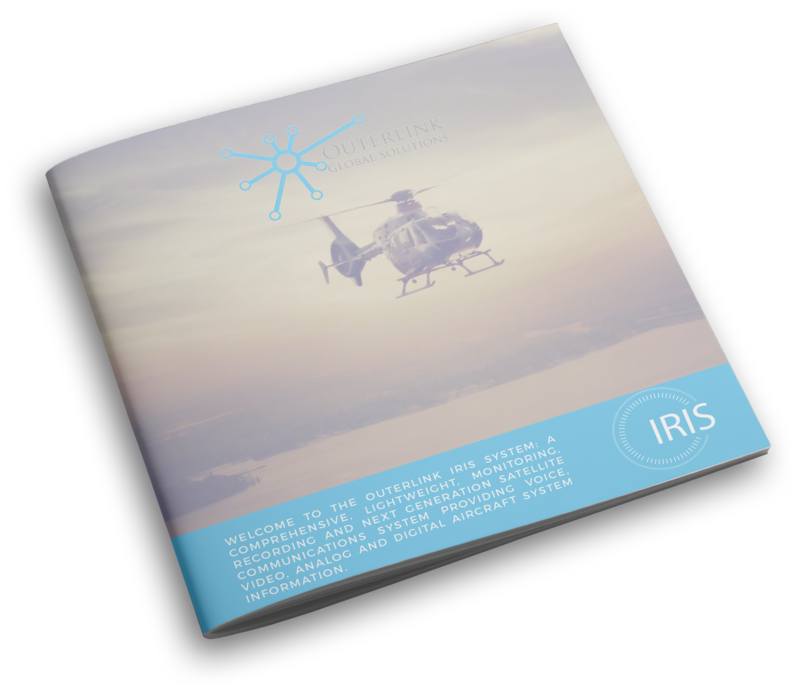 IRIS is the first commercial rotorcraft use of situational awareness technology similar to that employed by the military. Delivering an uninterrupted connection with constant communication and push-to-talk VOIP radio, operators can communicate with one aircraft or an entire fleet across the globe in an instant. Communicating with the fleet is easy with pre-determined Talk Groups. Simply divide your operation into regions, aircraft type, etc. and communicate the message to the correct people with the click of a button. To benefit from most FDM systems, operators traditionally wait until the aircraft lands to collect flight data from a storage device on the recorder. That data may improve future flights, but does little to protect the aircraft and its occupants while they are flying a mission. By monitoring and transmitting key data in real-time to ground support staff, IRIS turns an FDM system into an accident prevention tool. Operators stay connected with live monitoring of all critical systems. By defining custom event sets, you control what notifications are important to you and see them in real-time. If an engine oil warning light comes on in the aircraft, the IRIS system can be configured to stream all labels related to engine performance data directly to a computer on the ground. If an engine failure is predicted, ground support will use the push-to-talk radio to notify the pilot so he can land safely. The onboard FDM contains a SD card that records more than 300 parameters of data. Any data collected from the FDM can be transmitted electronically, and operators are free to select which labels to receive, from traditional FDM data points such as GPS coordinates, airspeed, altitude and direction; or mechanical data such as engine temperature and rotor RPM. On certain European turbine engines there is an issue with coking (buildup of carbon deposits) on the No. 1 turbine wheel. Operators are required to measure the “spool down time” on the N1 turbine wheel at each 100 hour inspection to determining the amount of buildup. Have a comprehensive flight data monitoring system with an onboard computing and communication system allows operators to measure the “spool down” time at each engine shut down and trend, identify and communicate a potential issue long before it impacts dispatch availability. The IRIS system provides a continuous minimum 30+ hour recording loop of up to 3 high definition IP cameras and 5 audio sources. see it. hear it. analyze it. IRIS has a comprehensive software suite to playback and analyze the recorded data. The Flight Analysis Safety Trend and Report System (FASTARS) software supplies voice and video playback tools that syncs your data to the cockpit recording, allowing you to see all of the flight details. Survival Flight, a premier EMS company dedicated to air medical transport uses the IRIS system for flight tracking, communications, data monitoring and for communicating with medical personnel on the ground. Get more information on the IRIS system and how it can help you operate safer.